APXSoft, May 25, 2017. “Strikers 1945 - World War” Now on Google Play on its Soft Launch Release. Strikers 1945, Gunbird and Tengai, the classic arcade shooting games in the 90’s can now be experienced in modern style. 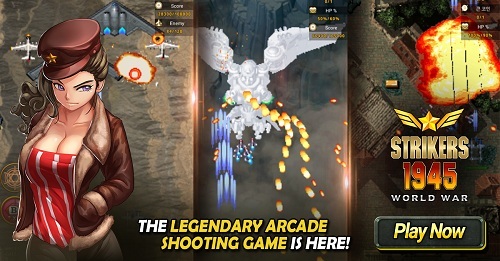 An incarnation of aircraft shooting battle simulation on mobile, called Strikers 1945: World War. The game is now available to limited countries for its soft launch release - namely, Canada, Singapore and Philippines. The game will expand to other countries until the slated Global Release. 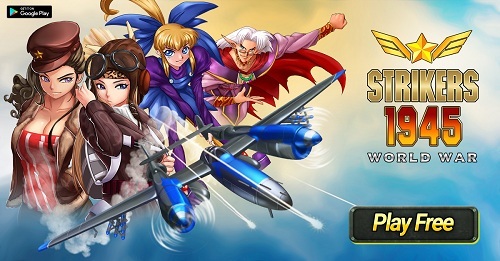 Catch Strikers 1945 - World War’s social media events to kick start the soft launch release. 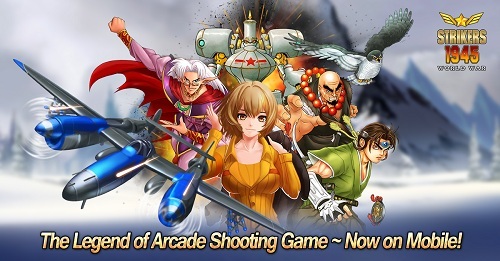 The mobile game combines the shooting combat and characters from Strikers Series, Gunbird and Tengai that has been known for almost 23 years now available on Android for 90’s veterans and aspiring heroes of arcade shooters. Recruit your favorite classic characters as “Operator” and conquer countless stages on different modes. Bridge the gap of past and present, download Striker 1945 - World War for free today! This was one of my favorite Arcade games. I played it an early internet cafe in the late 90s.